Home » Archive for category "Video Streaming"
The way online content is being delivered to day is quickly changing and more and more businesses, churches, organisations, sports teams, radio stations, schools, municipalities and cities are becoming interested in how to stream live video on your website. 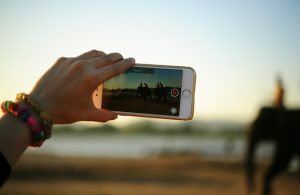 This form of media is starting to dominate the internet and the popularity of sites with live streaming video is rising quickly. Any online business should consider live streaming on their website. You will see the process is now easier than ever and the costs are very reasonable. The suggested solution is; Wowza Media Streaming. Wowza is easy to use for live streaming to audiences of any size. Below we outline what you will need to get started. The first thing you will need is a broadcasting source. For live events, you can use many devices as a source such as an IP Camera, webcam or smartphone. You will need a hardware streaming machine (laptop, server, desktop) that will be used to encode the live video feed and send it to the Wowza Media Server. If you are streaming pre-recorded video than you will simple upload your videos to your online Wowza Media Server streaming machine that you have rented with a video streaming host. The next step is to begin encoding to the Radiosolution Wowza Media Server. When you are encoding you are using your internet connection to send the signal coming from your source, this means you need a fairly good and stable high speed connection. You are looking for an internet connection with at least 2Mbps upload speed. Next you will need to download broadcasting software like Flash Media Live Encoder. You can download it here for free. The Radiosolution video streaming service supports all encoders that output RTMP streaming. Once you configure Flash Media Live Encoder for your event (specific installation instructions to come) you can generate the publishing code. Your signal will be sent to our servers and broadcasted to your worldwide audience. Now you will have to add your server to your website. This process is made very easy thanks to Radiosolution’s control panel. You have the video player embed code that you can paste directly on your website. Your live video stream will now be accessible from any smartphone, tablet, desktop or laptop. That is a quick overview on how to stream live video. Get started right away with a free trial with Radiosolution video streaming.